If you’re a parent of a preschooler, you’re probably familiar with No, David!, Pinkalicious, Olivia and Fancy Nancy. CP#1 and #2 love the precocious characters from these popular books because they are kindred spirits, but MP likes to add new material to the team’s repertoire whenever she can. Thankfully, Buxton author Toni Buzzeo has created a fun heroine named Adventure Annie—who easily fits in among the list of aforementioned characters. It’s hard to resist a curly-haired girl who wears red cowboy boots and a matching cape. Not surprisingly, Annie’s energetic spirit matches her wardrobe. 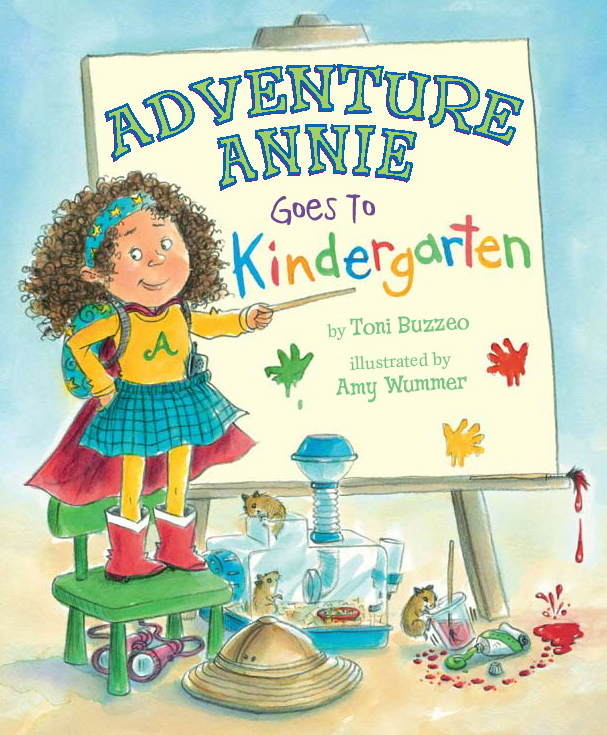 In Buzzeo’s latest book, Adventure Annie Goes to Kindergarten, Annie brings a walkie-talkie, zookeeper hat and high wire slippers to the first day of school—“just in case.” And with that knowledge, young readers know they’re in for an adventure of the finest kind. Annie means well, really she does, but somehow she’s always getting into trouble. Can she redeem herself? And will she earn a gold star for the day? 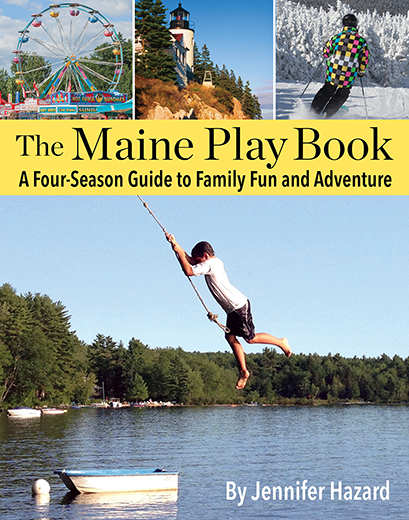 Families will laugh out loud while they watch Annie find her way in and out of trouble. For more on Toni Buzzeo, visit her site. Want more Adventure Annie? Check out Adventure Annie Goes to Work.